Take $15 off any orders of $499 or more. 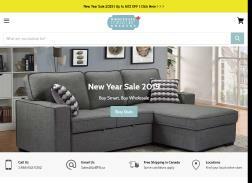 Get 5% off furniture & mattress in Toronto & Free shipping on your items! Dont miss a chance to shop at Wholesale Furniture Brokers Toronto! Get 5% Off your order as well as Free shipping at Wholesale Furniture Brokers Regina! Take $50 off any orders of $2499 or more. Get 5% off furniture/mattress in Edmonton + Free shipping of your items! Take $5 off any orders of $299 or more. Take $25 off any orders of $799 or more. Take $50 off any orders of $1499 or more. 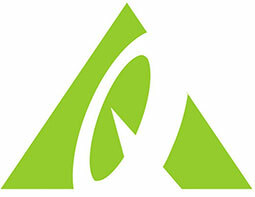 Get 5% Off your order as well as Free shipping at Wholesale Furniture Brokers Nanaimo! Get 5% off furniture & mattress in Quebec + Free shipping on your items! Dont miss a chance to shop at Wholesale Furniture Brokers Quebec! Get 5% off furniture & mattress in Victoria & Free shipping on your items! Dont miss a chance to shop at Wholesale Furniture Brokers Victoria! Save $500 on Volo Espresso Leather Reclining Sofa and Loveseat Set by Levoluxe. Get 5% Off your order as well as Free shipping at Wholesale Furniture Brokers Prince George! Get 5% Off your order as well as Free shipping at Wholesale Furniture Brokers Montreal!